A native of Los Angeles, California, Elizabeth often traveled with her father, general purpose actor James Wainwright, while he worked in television and film in the late 60’s and early 1980’s. As a young girl, the experience of seeing two worlds – one on camera and one behind the scenes – was pivotal. It was an up-close view of the power of communication, and the interplay of words, images, messaging and perception. It also gave her first-hand experience and insight into privacy issues facing those in the public spotlight. An undergraduate degree in Communications led to an award-winning career in advertising and public relations, where Elizabeth helped clients with awareness, strategic positioning and often served as corporate spokesperson. After many years working within both agency and corporate settings, and after founding her own successful boutique PR agency in San Diego, Elizabeth sensed that her passion and talents could be better utilized as a voice for humanitarian initiatives. While watching video of chimpanzee medical research testing, Elizabeth was devastated by what she saw and realized that her success in public relations strategy could make a difference in an area she had long cared about — animal welfare. Elizabeth closed her business and returned to school, earning a Master of Science in Human Clinical Nutrition in 2008. The degree reflected her personal interest in health and nutrition, and for the next five years she maintained a private practice and apprenticed with a progressive MD for alternative and integrative medicine therapeutics. This path also provided her with a scientific foundation in biology and ecology, and greater insight into the connectivity between nutrition, healing, food and agriculture. In 2013, a 60 Minutes episode on the epidemic of elephant poaching in Africa stopped her in her tracks. She suddenly understood how her experiences, education and passionate nature could be of influence and fuel a dedication to making a positive impact. That year, she committed herself to learning as much as possible about the African poaching epidemic. An astute researcher, she developed a blog to document the truths she uncovered. She also traveled to Kenya and learned first hand about the delicate balance that exists between the people of the region, private conservancies and government wildlife agencies. It was clear to Elizabeth that in order to honor and protect the area’s wildlife that the rights of the local communities also needed to be honored and protected. Elizabeth is currently exploring strategic partnerships in Kenya dedicated to creating change. Some of the projects include advocacy and awareness campaigns, education programs and ready-to-wear fashion initiatives. In addition, Elizabeth continues to augment her clinical nutrition expertise through her passion for Biological Farming and High Performance Agriculture. In extreme conditions such as Eastern Africa, this has the potential for improving grassland development for animals and for food production. Elizabeth is a seeker of truth, and in the process, uncovers the interconnectivity of healing – whether it is the body, animals or the planet. She pays close attention to astrological and geocosmic influences and how these can impact the efforts she is involved in. She is dedicated to being an advocate for local, national, and international animal welfare organizations. Proven track record in positioning organizations for successful merger & acquisition initiatives. Founded Clinical Nutrition practice providing in-depth personalized consultations and therapeutic protocols in an alternative medicine, clinical setting. Persuasive communicator about the value of humanitarian efforts to influence political and public opinion. Strategic ability to research and identify key positioning opportunities within the wildlife conservation arena. Responsible for the highest grossing on-air sales segment that reached approximately five million households across five significant test markets. Received the prestigious “Edward L. Bernays Bronze Mark of Excellence Award” for outstanding research and evaluation tactics developed for the commercial real estate industry. Well attuned to the interconnectivity between nutrition, agriculture and animal welfare. Elizabeth earned a biochemistry-based Masters of Science degree in Human Clinical Nutrition from the University of Bridgeport Human Nutrition Institute and a Bachelor of Arts in Communications from the University of West Florida. In addition, she has received advanced training certifications in the field of functional medicine and nutritional biochemistry that include but are not limited to: the basis for autoimmune disease, blood chemistry analysis, neurotransmitter and brain therapeutics, optimizing endocrinology and gastrointestinal integrity, and mastering thyroid health. Her clinical certifications included the Certification Board for Nutrition Specialists (CBNS) and the National Clinical Nutrition Certification Board (CNCB) as well as qualification to administer Medical Nutrition Therapy (MNT) services in the State of California designed to reverse chronic illness. 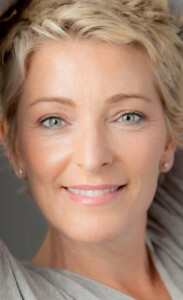 During her clinical career, Elizabeth strategically combined more than thirteen years of previous advertising, marketing, public relations, on-air broadcasting experience with adept clinical nutrition knowledge when working directly with the public; and consulting with diagnostic laboratories, nutritional supplement companies, food and product manufacturers, restaurants, and hotel/resorts. She was also highly proficient in uncovering astrological and energetic influences as they pertained to mastering both mental and physical health and wellbeing for her patients. Elizabeth has been an influential board member with the National Council for Geocosmic Research (NCGR) San Diego Chapter, and a member of the Institute for Functional Medicine (IFM), American College of Nutrition (ACN), International and American Association of Clinical Nutritionists (IAACN), Price-Pottenger Nutrition Foundation (PPNF), The Humane Society of the United States (HSUS), and the Physician’s Committee for Responsible Medicine (PCRM).